Follow in their footsteps with someone who knows the way. 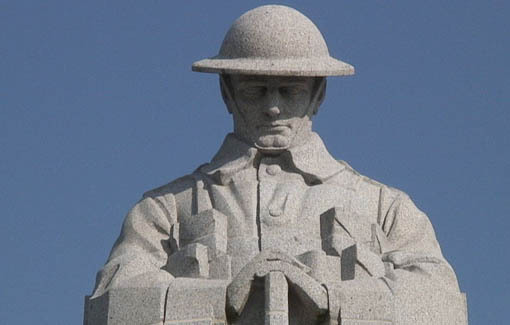 Canadian War History Tours are designed with the life-long learner in mind. If you’re not one to lounge by a pool for days (although that has its place), but enjoy learning – delving into histories and mysteries, these tours are for you. We will walk where they walked. We will get a genuine sense of what it was like. You’ll learn through the diaries and stories of Canadian soldiers who went though it. Tours and costs are flexible, usually 5 to 7 days. $500 deposit required at time of booking. Balance must be paid 90 days in advance of tour start. Includes accommodation and ground transport. Does not include flights or food. Canadian War History Tours does not have a cancellation policy. Travelers must be responsible for their own travel insurance: Health, cancellation, trip interruption, etc. In the unlikely event that Canadian War History Tours cancels a tour, you will receive a full refund. If a client cancels a tour, because these tours are designed months in advance, we cannot recoup costs of reservations or make up for lost customers for those dates. As such, those costs are non-refundable. Join author, historian and guide, Susan Raby-Dunne for a unique, intimate and customized tour of the WWI and WWII Battlefields. Follow in their footsteps with someone who knows the way. 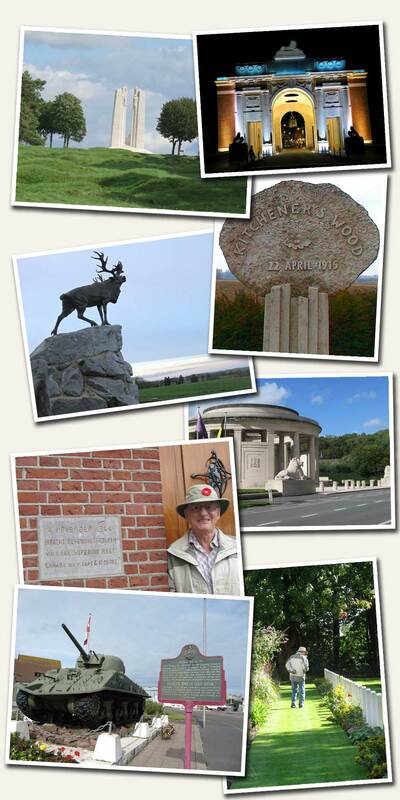 Canadian War History Tours offers small group tours – 1 to 7 people – of the WWI and WWII sites in France, Belgium, the Netherlands and Italy. 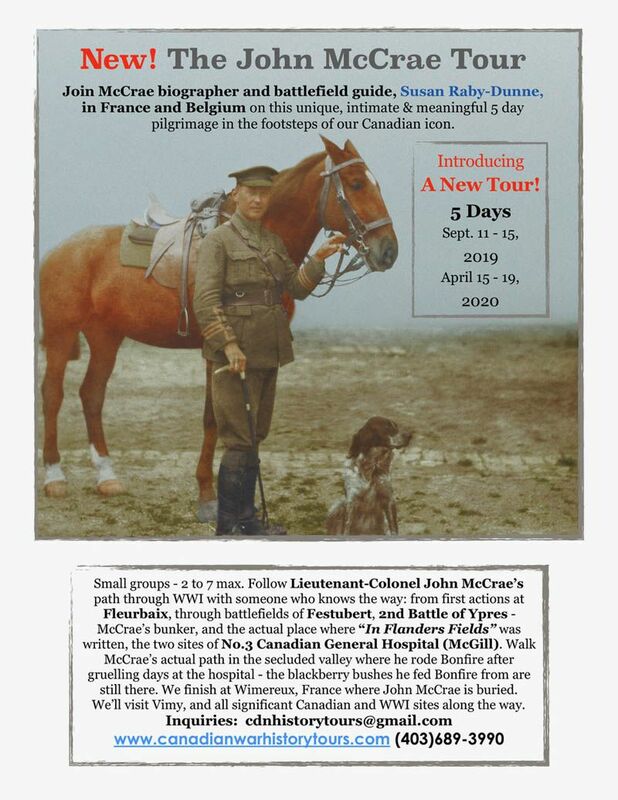 Follow the trail of a relative, a regiment or just immerse yourself in Canada’s important and fascinating military history. Prepare to be enlightened and moved! After the tour, clients may choose to have a KEEPSAKE PHOTOJOURNAL of their tour. Usually about 20 pages, with 40 to 50 colour photographs, this booklet will include the tour timeline with historical photos and information, photos of the group and places visited. Cost – $150. 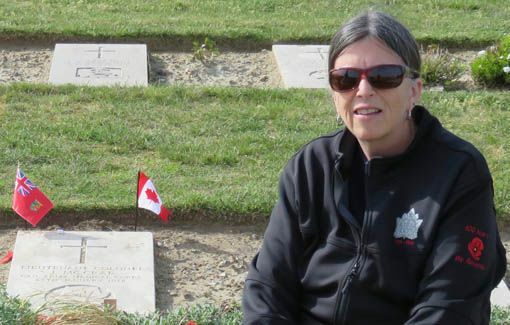 Susan is an author, public speaker and guide with a talent for research, and a passion for Canadian military history. As of November 2017 she has published 5 books about war history; 3 about WWI and 2 about WWII. She is a story-teller and based on actual history, brings her subjects to life in dynamic and moving ways. Was Grandad or Great Uncle Bill in WWI or WWII? My specialty is research, story-telling and putting together a picture of individuals in these wars. Or are you interested in a particular regiment, or certain battles and how they played out? These tours begin with preliminary research. By the time we go over, we’ll know where to pick up the trail, where it goes, and what happened. To stand at the grave of a relative who fought is powerful. 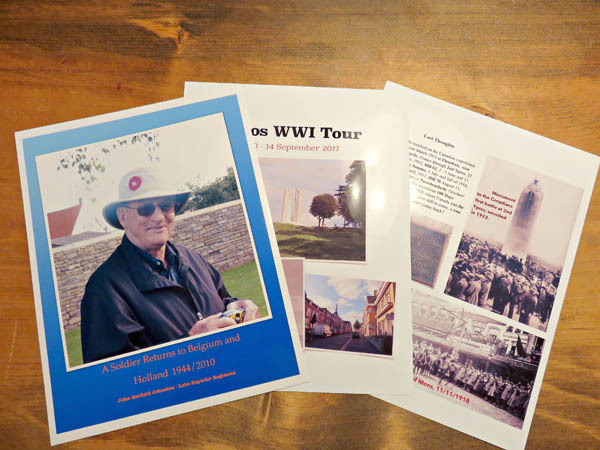 After the tour, clients may choose to have a KEEPSAKE PHOTOJOURNAL of their tour. Usually about 20 pages, with 40 to 50 colour photographs, this booklet will include the tour timeline with historical photos and information, photos of the group and places visited. Cost – $150. See the six tours below for more set itineraries. All my tours are flexible and we can bend them to people’s interests or passions. You get picked up at airport or train and away we go! 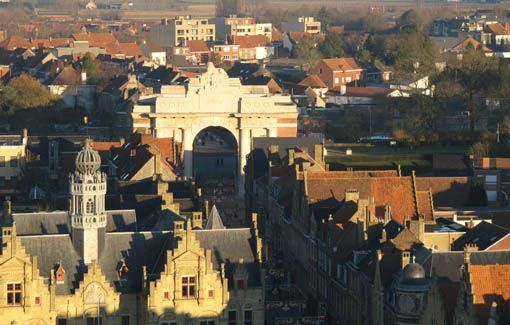 With this tour we will follow the Canadian Corps from their initiation in Fleurbaix, France to their baptism of fire in the Ypres Salient, Belgium and battles in the Somme, Vimy and Hill 70. 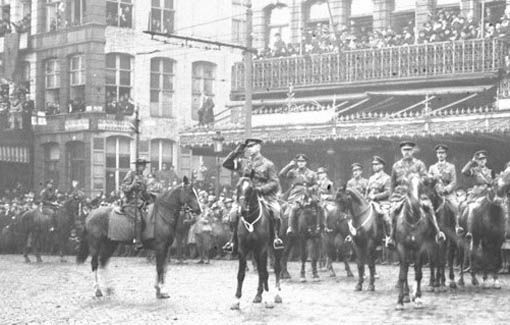 We follow the Canadian Corps from the turning point of WWI, 8/8/1918 Amiens, France to the end in Mons, Belgium and the 1st Armistice. 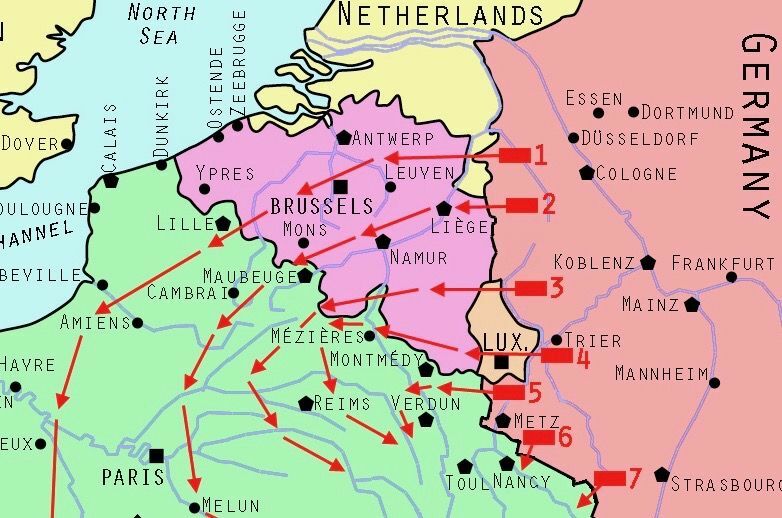 From D-Day in 1944, through the French Falaise Gap, into Belgium and the Liberation of the Netherlands we follow the trail of the Canadian Corps. Can include Dieppe. 2nd Ypres 1915, Hill 62 1916, 3rd Ypres/Passchendaele 1917. An examination of the Canadians in the Salient. You’re not in wine country now! 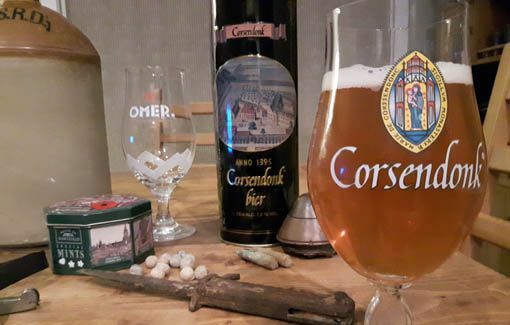 Flanders and Belgium are renowned for their excellent breweries and beer. We’ll immerse ourselves in the history, visit some breweries and sample the wares. 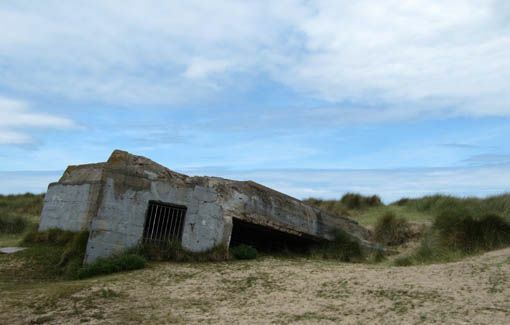 From Talbot House in Poperinge, BE to John McCrae’s grave in Wimereux, to Dunkirk and La Coupole, FR, where the V2 Rocket was scheduled to launch – you pick – diverse and fascinating. 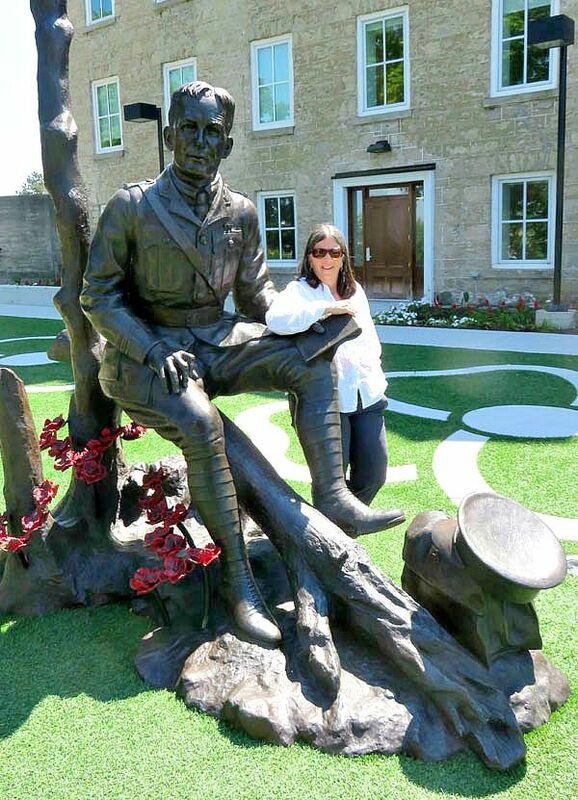 The rest of our trip into wine country was amazing, but your Great War tour was the highlight! Your knowledge and passion for the Great War is unmatched and made for a trip that will not be forgotten. She has connections on a personal level that you just can’t buy. I learned more than I ever expected as the factual with personal stories came to life.